Now you can search for pins with photos, not words. Last year, Pinterest introduced the possibility of shopping for things just by taking a photo of it. Today, the company is ready to announce that feature to the world. It's called Lens, and as you might expect, it uses your phone's camera. 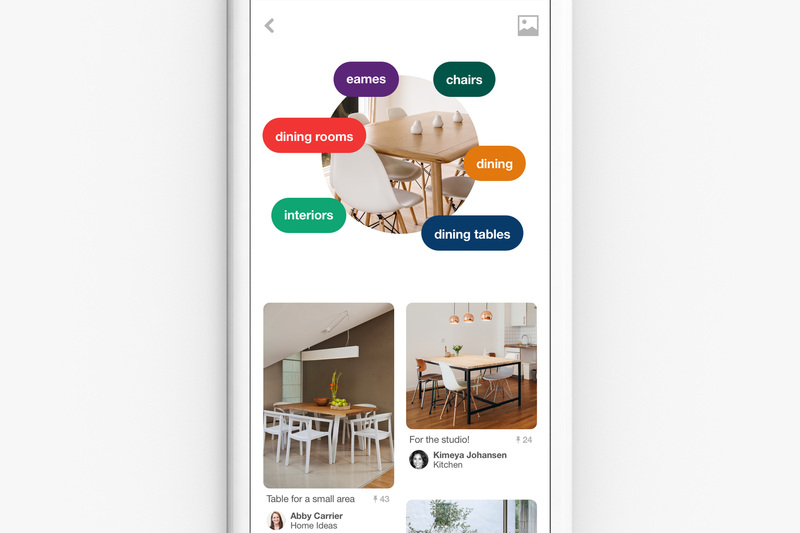 Tap the camera icon in the Pinterest app, snap a photo of something you dig -- say, your friend's cool mid-century dining table -- and it'll be smart enough to churn out a list of pins with similar-looking tables. But the idea of Lens doesn't stop at shopping. For example, that picture of a table could list to a bunch of room decor ideas. Or you can take a photo of a pomegranate, for example, and it'll spit out recipes that uses pomegranate as a main ingredient. A picture of a sweater could lead to different styles of it and how to wear it. Basically think of Lens as a way to search for something when you just don't have the words to describe what it is you're looking at. Of course, the technology is imperfect. Not all of us take crystal clear photos on our phones, and blurry and awkward shots will probably churn out the wrong results. That's why Pinterest says Lens is still in beta, and is considered somewhat experimental technology. Pinterest launched a couple of other visual discovery features today as well. One is called Shop The Look, which uses object recognition to automatically detect and search for items in a photo. So a picture of a living room might prompt Pinterest to bring up a list of Buyable pins for the couch, the lamp, the table and the rug. The pins won't be for that brand of furniture specifically of course, but just items that look very similar. Pinterest says that Shop The Look will also give you styling and decor ideas too. So far, the company has partnered with folks like Curalate, Olapic, Project September, Refinery 29 and ShopStyle to curate the looks. Brands and retailers that are on board include CB2, Macy's, Target, Neiman Marcus and Wayfair. Last but not least, Pinterest also rolled out Instant Ideas, which is represented by a tiny circle at the bottom right of a pin. Tap it and you'll see a list of related ideas. The more you tap the pins you're interested in, the more customized your recommendations will be over time. All of these features is live on Android and iOS starting today. It's available in the US for now, with more countries to be announced at a later date.